This Yaffa Bey warning is being provided to notify my listeners, and everyone else, about a fraud being perpetrated in my name. Be advised that there is a melanin rich, brown-skinned, female in Tennessee, that calls herself Zara Yaffa Bey. I am appalled that this copycat chose to utilize my name to further her agenda of extracting finances from our people. This Yaffa Bey Warning is also to notify you that I have been informed about how she cons, scams, and robs, our people of their financial resources via some group that has ABSOLUTELY NOTHING whatsoever to do with me! Furthermore, I have been notified that she convinces people to join organizations that also extort and fleece revenue from them. It is apparent that many people have been misdirected toward her – while in search of me. I don’t know why, but of all of the attributes available out there that she could have chosen for herself, she chose Yaffa Bey to utilize in her smear campaign. Furthermore, her subject matter is eerily similar to the subject matter that I touch on and promote. Whatever she is doing has caused so much financial discomfort for certain people that there have been complaints on the Internet about Zara Yaffa Bey extracting money, then failing to deliver what was expected. As far as I know, she has been doing this for over a year, but I have never done anything of the kind. Therefore, I can only presume that she is carrying out her mischief in some deliberate and misguided attempt to mislead our people, as well as ruin my integrity and credibility. I was definitely the first, and should be THE ONLY, Yaffa Bey in this particular arena. 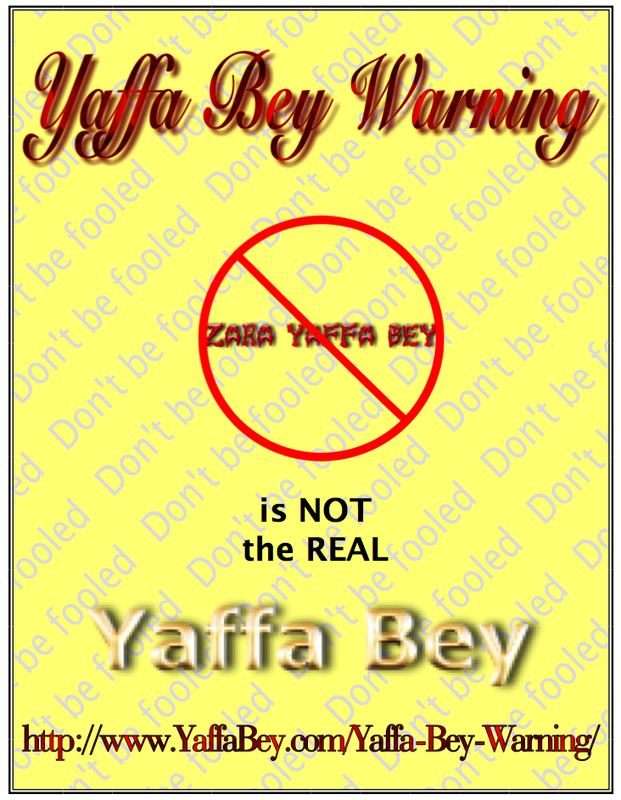 I reiterate, this Yaffa Bey warning is to notify everyone to be on alert about, and suspiciously aware of, the fact that there is a Zara Yaffa Bey out there riding the wave of my name. However, Zara Yaffa Bey is NOT ME. I am Dr. Yaffa S.I., Bey! She is someone else, altogether different. So, do not become weaved into her web of financial gain and benefit, because based on the feedback I am receiving, it will definitely be to your detriment. Well, I think that you’ve probably it the head on the nail, and this person’s intent is obviously to discredit you and to dissuade anyone that could be interested in your products, services, and what you have say from doing business with you. I’ve recently learned that individuals guilty of this type of behavior are called TROLLS!!! An indication that you have something of value to impart to your audience that they would like to sabotage. Therefore it is imparative that you seek a professional to design safeguards into your business to thwart these kinds of attempts by the unscrupulous if you don’t feel confident in doing so yourself.